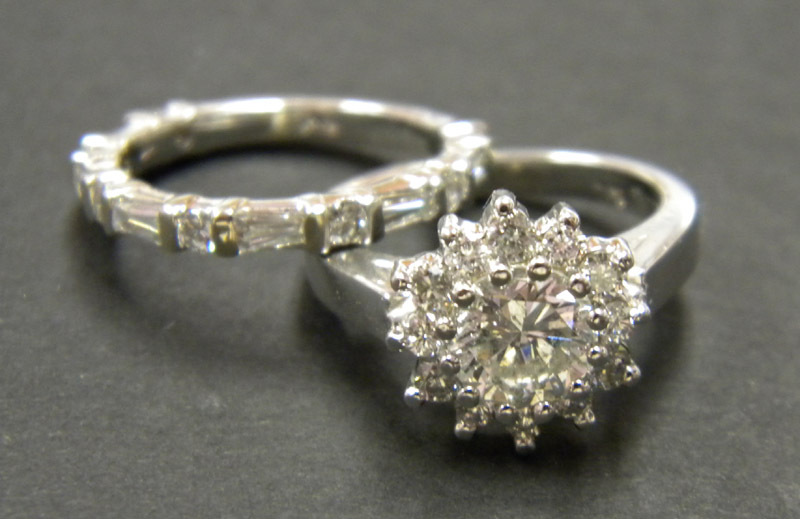 Client brought in a picture of the engagement ring she loved. After measuring her diamonds, we decided the stone sizes would work with her dream ring if we used the round diamonds from both the wedding band and engagement ring. The balance of the side diamonds were round and tapered baguettes and were set in a custom ring alternating the baguette and round diamonds, which lines up perfectly beneath the center head of the new engagement ring. 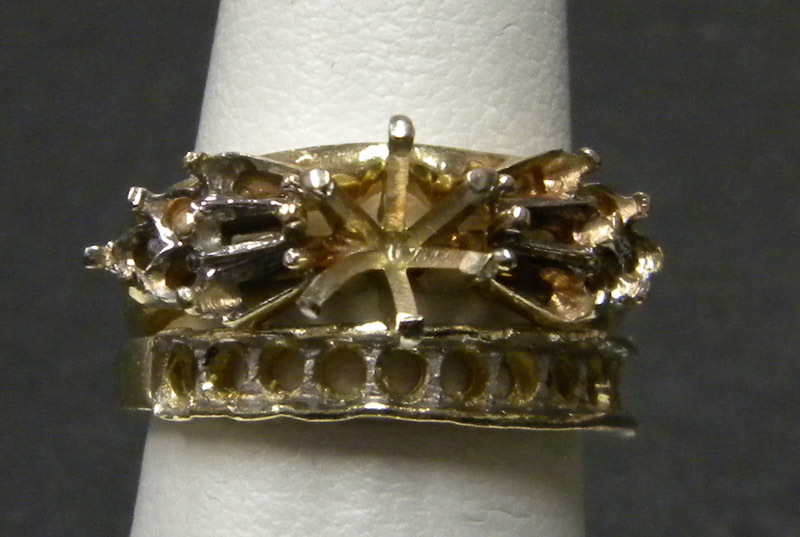 The client also had a small pinkie ring which had worn prongs and thin band plus slightly larger inherited diamonds. The result? A beautiful open scroll curved band with an added curved swirl bezel on the top for the center diamond and smaller diamonds set in side swirls. A unique pinkie ring compliments her new wedding set.